Jennifer L. Hernandez is a partner and co-chairs Holland & Knight law firms National Environmental Team. 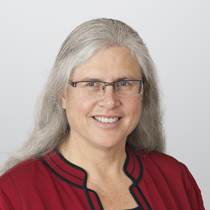 She leads the West Coast Land Use and Environment Practice Group. She has achieved national prominence in her work on brownfields redevelopment, wetlands and endangered species, and master planned community projects. She represents private, nonprofit and public sector clients, ranging from real estate developers to biotechnology and other operating industries, to communication and energy utilities. Ms. Hernandez chairs the conference on Climate Change Law in California and has written and spoken extensively on major California climate change laws and emerging regulatory proceedings, in various regional air districts, and in Climate Action Plans and other land use policies being developed by cities and counties.